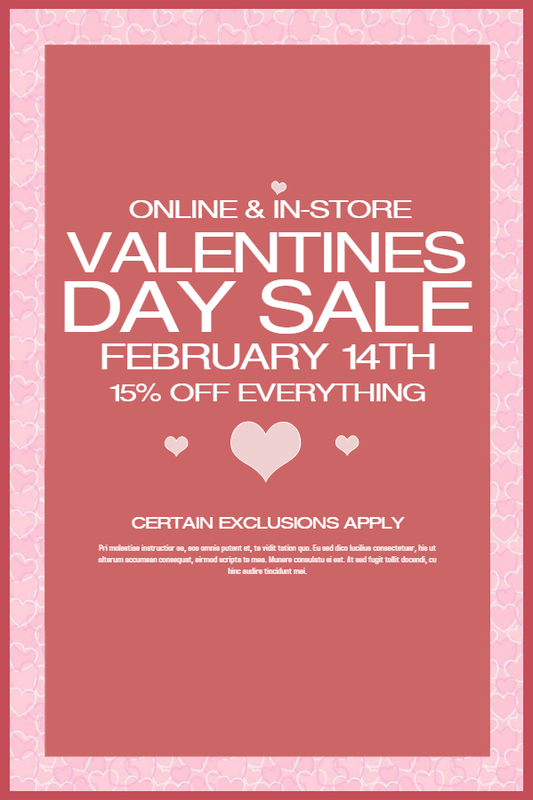 Love is in the air, and so are sales! Valentine’s is coming up in less than a month, and if you are a retailer or own an eatery, it’s too good of an opportunity to let this “holiday” go without a special event. Make plenty of romantics happy by creating Valentine’s offers. This can be in the form of sales, Valentine’s themed products and specialized items. 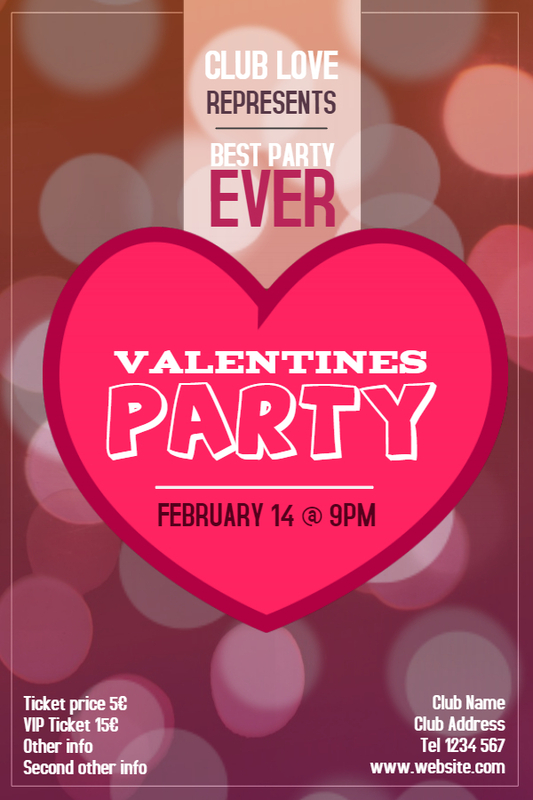 But first, stop and think if your store is the right place to be advertising Valentine’s Day specials. Are people going to purchase gifts for their Valentine’s dates, or are couples likely to come to your eatery? Chances are, if you’re an electronics shop, the answer is no, but if you sell chocolates or sweets, you’re in luck! We’ll share some quick tips to make Valentine's a success, and some of our newest Valentine’s retail templates created by our Design Community. Let’s get started! Timing is everything. You need to share the buzz about Valentine’s at least a month ahead, so when the big day comes, your audience knows that you have a lot to offer. The later you advertise your sales, chances are you’ll be missing out on many potential customers. So quit delaying, and start marketing now! As for the offer itself, it should be big and obvious. Something like “share the buzz” or “sale of a lifetime” may look good on paper, but without specifics to back it up, it’s just empty words and a waste of time. With so many ad options presented to us daily, whether on print or online,, most of us have become immune to filler based visuals with no worthwhile content. So it’s best to make a good offer, then add the attractive advertisement. If you’re a retailer, consider setting up a stall outside your shop. Opt to gift wrap the purchases for customers, and you’ll surely attract and keep plenty of customers, especially those who want to buy more gifts in the future. It’s a reassuring thought for many that want to gift something special, but don’t necessarily have the time or skill to gift wrap, search for matching bows and add cards for the gift. If you’re planning Valentine’s Day meals at your restaurant, set up offers ideal for couples. Offer prix fixe menus, including decadent treats, at discounted prices. If your customers like the food, they will definitely come back for more. Now to set up the actual offer! Posters and flyers are more than enough to cover your bases offline. But advertising both online and offline is necessary. You’re more likely to capture the locals with posters and flyers, while reaching the masses with online ads. You can also resize your flyers and posters to other sizes, for social media posts and ads. Click on any of the templates below to start customizing right away! Find us on social media for the latest updates, features and feedback. Like us on Facebook, Twitter and Pinterest. We also launched PosterMyWall Premium Subscription. Check out all the awesome features we have to offer.